“Represent: Hip-Hop Photography,” the Smithsonian’s National Museum of African American History and Culture’s latest exhibition, is currently on display on the second floor in the Earl W. and Amanda Stafford Center for African American Media Arts (CAAMA) gallery. “Represent” is on view through May 3, 2019. Inspired by the four elements of hip-hop - DJ’s, MCs, breakdancers and graffiti – “Represent” showcases photographs from the Eyejammie Hip Hop Photography Collection that illustrate the early days of hip-hop and its rapid expansion to a cultural phenomenon in the mid-to-late 1990s. 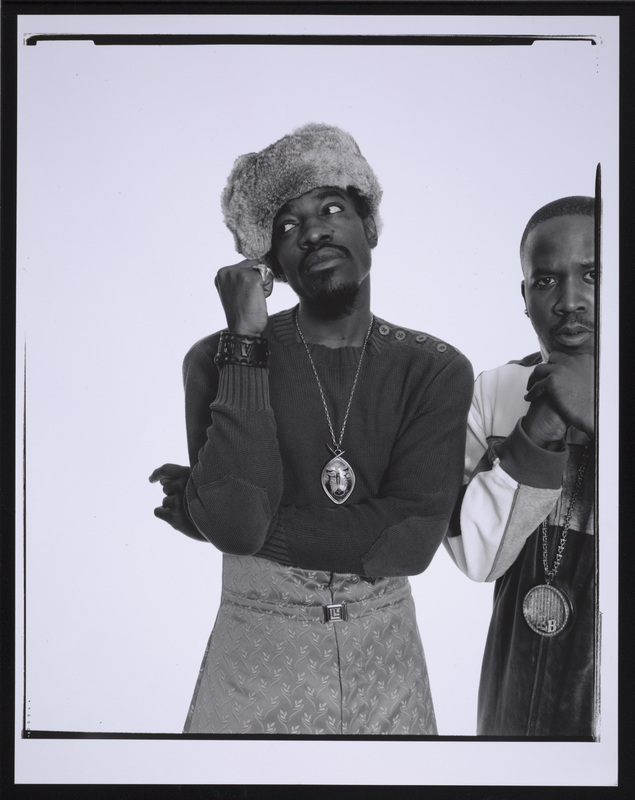 Photos showing some of hip-hop’s iconic figures and moments are paired alongside other images from the museum’s photography collection to explore how different social movements, historic figures, art, culture and dance have influenced the musical genre. For example, artist Queen Latifah’s photograph is paired with an image of 1920s blues entertainer Gladys Bentley. The paring, or diptych, illuminates similarities between the two entertainers who often dealt with media speculation on their appearances. In addition to photographs, the exhibition includes three short film excerpts from pivotal movies that chronicle hip-hop culture Wild Style (1983), Graffiti Rock (1984) and Stretch and Bobbito: Radio That Changed Lives (2015). A few objects that further demonstrate hip-hop’s relevance are also on display, including an unmastered pre-release cassette tape of Nas debut album Illmatic, a rare studio demo cassette tape of Mobb Deep’s second album, The Infamous, and an original New York City MTA subway door featuring graffiti tags by some of the city’s most prolific artists. CAAMA’s large interactive table displays an additional 170 images from the Eyejammie Hip-Hop Photography Collection. In 2015, the museum acquired Bill Adler’s Eyejammie Hip-Hop Photo Collection, making it the largest hip-hop photography collection at the National Museum of African American History and Culture. Adler, a music historian and former publicist for Def Jam Records, has written about, advocated for and studied hip-hop. Adler amassed the Eyejammie Collection after closing his New York art gallery, which was one of the first galleries in the nation to focus solely on hip-hop photography. The museum’s collection includes over 400 photographs from almost 60 photographers, including world-renowned image makers Harry Allen, Janette Beckman, Michael Benabib, Anthony Pereira and Jamel Shabazz, among many others images of a young Nas in front of the Queensboro Bridge, the 1990s rap duo Black Sheep with the World Trade Towers in the background, LL Cool J during his first performance in the basement of Benjamin Franklin High School in New York, early images of Public Enemy and photographs of female artists such as MC Lyte, Salt-N-Pepa, Yo-Yo and Queen Latifah are among some of the highlights of the collection. The Earl W. and Amanda Stafford Center for African American Media Arts showcases the National Museum of African American History and Culture’s dynamic image collection through changing exhibitions of still and moving images, publications and public programs. The CAAMA resource center and digital archive foster and support scholarship through publications and programs focused on the role, meaning, and influence of images by and about African Americans and other people of African descent.